Ashley Smith is Vice President of People Strategy and leads Human Resources, Learning and Development and Recruiting. Core to her role is building and developing a clinical care team with the right fit for both Vera and the customer’s organizational culture. Ashley believes that investment in an organization’s workforce is the key to unlocking true business potential. Ashley holds over 15 years of experience in Human Resources with an emphasis on organizational growth, change management and process improvement. She spent 10 years at Alere Wellbeing (a behavioral change healthcare organization now part of Optum) leading the development of performance management and coaching tools for staff development. Ashley is a Certified Professional Coach. She holds a B.A. in Social Sciences from Eastern Washington University and is pursuing a Leadership Executive M.B.A at Seattle University. 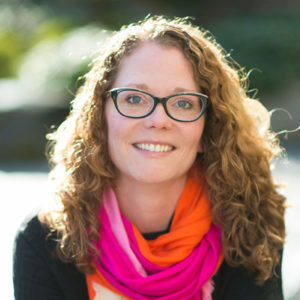 Ashley invests in the local Seattle community as a board member of a nonprofit and as an Advisory Board Member of the HR Management Certificate Program at the University of Washington.